Free diagnosis and price estimates for any job. Even though it has given us a great deal of headaches, most often the problem with the computer can be solve in less than 10 minutes. So, our services can cost you less than 10 euros. For services outside the center of Madrid and Arganzuela the minimum service price is 25 euros. We calculate our prices based on the time required to resolve your problem. We believe it is the simplest way, but if you prefer to have an idea of ​​how much a specific service costs, here is our list of prices for common services. Now you finally have that techy friend you've been looking for! Happy Tech Quarter voucher: 67 euros*. Happy Tech Semester voucher: 124 euros*. 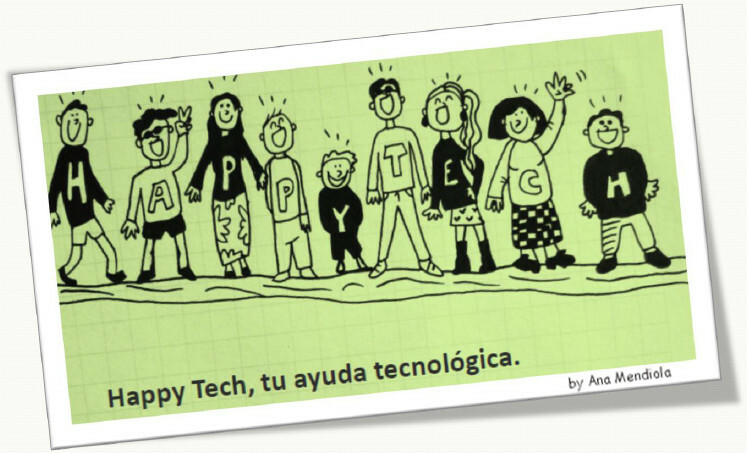 Happy Tech Anual voucher: 200 euros*. Oh! And if you haven't been able to consume them, you can take up classes with us to learn how to use pc, smarthpones, tablets, etc. What if...I'm not satisfied with the service? We always work with the aim that this does not happen. But we are all human and can make mistakes. Our proposal is: either we solve the problem or we refund your money. What if...I'm short of money but...I grow delicious tomatoes, or I'm the best shoemaker in town or make beautiful bracelets? Tell us what you are good at and surely we can work something out! What if… I'm out of job? We are very sorry to hear that but you'll see how things will finally work out for you. Meanwhile we can offer you a 10% off on all our services.